Police are hunting for two men after burglars entered a home, stealing cash and clothes, before fleeing in the owner’s car. 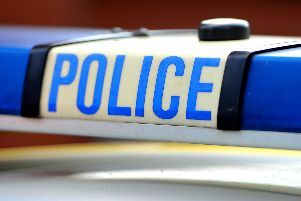 Officers said two men were caught on a doorbell sensor camera as they made their way into a home in Butlers Road, Horsham, in the early hours of Thursday June 14. Cash, cards, clothing, bags and medication were stolen along with a grey Volkswagen Golf - parked on the driveway. Police said the owners were alerted to the incident after a neighbour spotted the front door had been left open. One of the suspects is described as white, in his late 20s to early 30s, with short hair swept to the left. He was wearing a sweatshirt with a small white ‘NIKE’ chest print. Sussex Police has released images today (June 26) of two men they would like to speak to in connection with the burglary. Anyone with any information is asked to report it online or call 101 quoting serial 168 of 14/06.